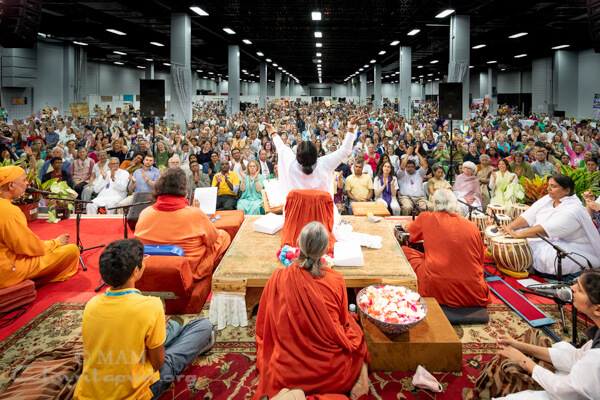 You are here: Home / America Yatra / America 2018 / Religions are the flowers arranged for worshipping God. 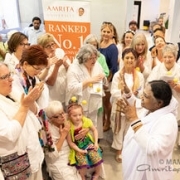 On the first night of programs, on Amma’s annual visit to New England, Amma was welcomed with annual cultural programs from both African and Indian traditions. 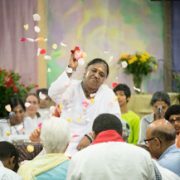 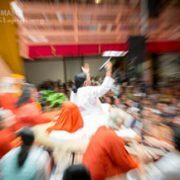 The program in Marlborough, Massachusetts, thus served as a hub for intercultural exchange, with thousands of people gathering to celebrate Amma’s profound messages of love, compassion and seeing the unity in diversity. 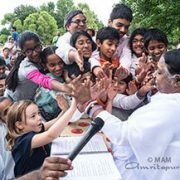 Amma’s yearly visit has also inspired the New England devotees to continue their ongoing social-service projects with renewed enthusiasm. 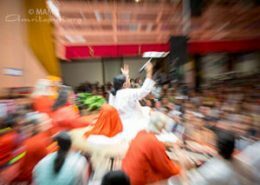 These include the running of soup kitchens and the collecting and distribution of healthy non-perishable food and other essential items to food shelters. 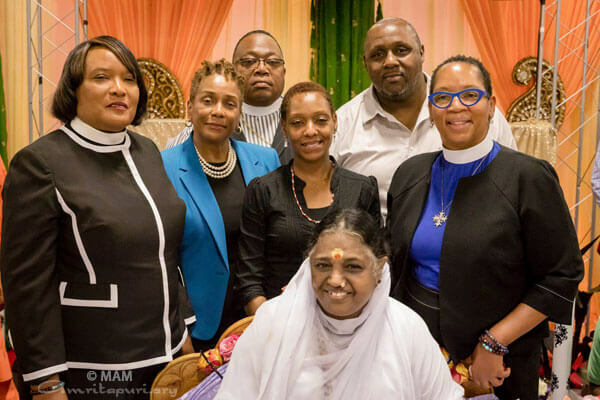 The New England devotees also run “Amma’s Hands,” an initiative that brings volunteers to tend to people at the final phase of their lives at the Blueberry Hill Nursing Home & Rehabilitation Center in Beverly, Massachusetts.